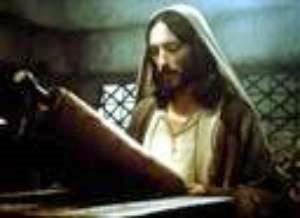 The Biblical World: Could Jesus read? It has become an axiom in New Testament studies that Jesus was illiterate. Based on studies of the social setting of Jesus and his family in rural Galilee, many scholars conclude that Jesus probably could not read or write. Some would point to Luke's description of Jesus reading the Isaiah scroll in the Nazareth synagogue (Luke 4) and his "writing" in the dirt in John 8 as evidence that he was literate. But the evidence is uneven for a number of historical reasons. Nonetheless, I have always suspected that we too quickly dismiss the evidence. The amount of inscriptions in Hebrew and Greek in Palestine suggests that someone was reading them, and not just a handful of elites. On the other hand, I also wonder if we are measuring levels of literacy in antiquity too closely to our own period. The levels at which we identify someone as "literate" today may not have been at the same level in antiquity. I bring this up because Ben Witherington is starting a series on reading and writing in Herodian Israel. I think he makes some interesting points. Here is a portion of what he has to say. Of course it is true that a person may be able to speak more than one language and not be able to read or write any of them. So what Jesus could have spoken is one issue, his literacy, as we would call it, is another. Unfortunately, the question of Jesus’ literacy is clouded by modern definitions. Literacy in antiquity could involve just the ability to read a language, without also being able to write it. Writing was a specialty skill, and usually scribes were the ones who undertook it. I am not particularly concerned with whether Jesus could have written anything, though I suspect he could have done, but what I am concerned with is his ability to read things. And here we are on firmer grounds. Let us first eliminate the old canard, which suggests ‘since Jesus was a peasant, he was very likely to be illiterate’. First of all, Jesus was not a peasant. He was an artisan, a ‘tekton’ which means one who carves and molds stone and wood, more often stone than wood in many cases in the Holy Land. Jesus’ family had a trade. They had a home in Nazareth, and in the town just over the next hill, Sepphoris, you have a ton of building going on. Jesus’ family were engaged in a trade, had a home, and so far as we can tell should not be classified with landless peasants, or tenant farmers. But there is another reason not to call Jesus a peasant. His family was not merely pious, they were devout, and the evidence we have suggests that devout Jews especially insisted that their sons learn to read so they could take their turn reading Torah in the synagogue. Here’s where we are helped by Alan Milliard’s recent study on Reading and Writing in the Time of Jesus . It will take a few posts to consider all the factors in assessing the issue, but let’s make a start. You make an excellent point in that the amount of Hebrew and Greek inscriptions in Palestine means that someone, other than the elite, is reading them. And not only that but what of all of the potential documents and inscriptions not yet discovered, or lost forever? We seem to have a mentality that we are much more advanced than people who lived 2000 years ago, that they could not possibly know as much as we do. Being in Israel this past summer, I discovered that this mentality is wrong. The people were just as advanced as we were in the technology and ways that their culture allowed them to be, as we are with the technology and ways that our culture allows us to be. I agree with you, that there were likely more literate people in Jesus' day than is being credited.